When it comes to breweries, they grow ‘em big in the country! Make that Country Boy, as in Country Boy Brewing. In only their 6th year of business, Country Boy Brewing opened their second Kentucky brewing facility and it is a doozy. Located in Georgetown, KY, about 10 miles from the original brewery in Lexington, the new 24,000-square-foot operation resides on a six-acre campus. It includes a 4,000-square-foot tap room that has 36 beers on tap and a patio slightly bigger than the tap room. “It’s a unique experience in the craft beer scene to be able to sit here and you’re looking at old barns and farmland and bluegrass,” said co-owner and brand manager Daniel “D.H.” Harrison, who owns Country Boy with Jeff Beagle, Nathan Coppage and Evan Coppage. Harrison, more commonly known as ‘DH,’ said that the Georgetown, Kentucky production brewery is the first in the state to be built from the ground up and for the sole purpose of brewing beer since the end of Prohibition. 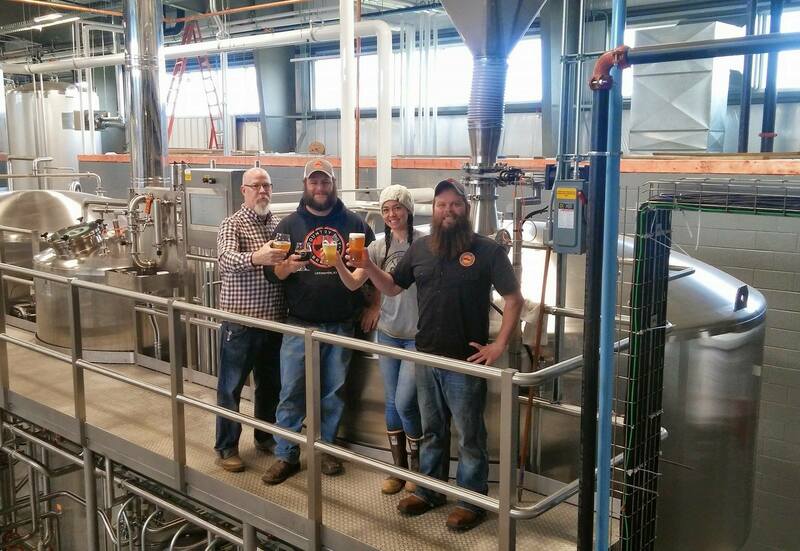 The new space will also give Country Boy a chance to expand production threefold to nearly 25,000 barrels along with giving the brew team in Lexington a chance to experiment more at the original home. At the heart of the new Georgetown brewery is a fully-automated, 50-Barrel/3-Vessel Sprinkman Brewhouse, which is a quite a jump from the 10-barrel system in Lexington. Sprinkman also provided the grist case, grain handling equipment, a yeast brink and a mix of 100 and 200-Barrel fermenters and brite tanks to the new operation. Those four beers are “When we started, we were all home brewers at heart,” said Harrison. “We love the core brands, but making experimental stuff is where you get to exercise your creativity, try some out of the box kind of stuff, and that’s what the brewers enjoy doing.” Country Boy’s core brands include Cougar Bait, an American blonde ale; Shotgun Wedding, a vanilla brown ale; Halfway Home, a pale ale; and Cliffjumper, an India Pale Ale. Needless to say, these serious brewers know how to have fun in the country!